Whether you are a millennial just beginning your career, or a baby boomer nearing the finish line, retirement should be something we look forward to. There are many roads to get there and like with any trip, the key to making things run smoothly is to plan ahead. 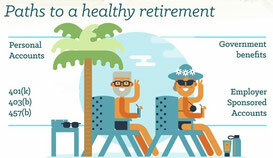 Rosland Capital, a premier precious metals firm, has put together an infographic that maps out the various routes to retirement. 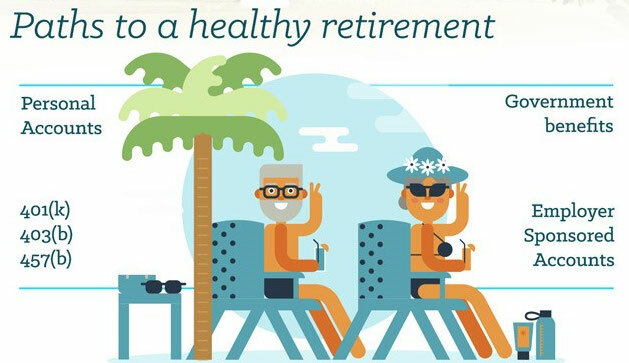 This informational guide highlights everything from precious metal IRAs, to Simplified Employee Pensions, and Medicare benefits. When talking with different people about the joy of spending time with family during the holidays, there are many who aren't too excited about it because their family usually gets into arguments whenever they all get together. In most cases, the reason is because of money. This reminds me of a story a banker friend of mine told me some time ago pertaining to people's attitude towards borrowing money from (or loaning money to) family. His story compared two families where one person borrowed money from a family member, didn't pay it back, and both parties show up to the family's holiday dinner. He talked about how it was looked at in each family. research and compare different methods before deciding which way to go. This has definitely been true for my wife and me as we’ve pursued our wealth journey. And once again, if you’re like me, what you’ve probably found is there are so many different perspectives on how to build wealth. It could be enough to drive you mad! So who’s right? Believe it or not, I would go so far as to say that much of the financial information, strategies, etc. out there is good in it own way. Until discovering my own personal finance strategy,we tried a lot of different things before just narrowing it down to what has worked consistently for us. So I’m not one to say that there is one specific philosophy to follow. Heck, I even encourage you to contrast different “gurus” to see which one works best for you. Because you will find that you are able to pick and choose from different advisors and tailor it to your needs in order to reach financial freedom. So, let’s play a game: you loan me a dollar. In about a year, I’ll give you $1.02 back. Not bad huh? You do practically nothing and get a return on your money. Pretty fun game huh? Now let’s add a twist to the game: I’ll loan you a dollar as well. But at the end of the year, you’ll owe me anywhere from $1.05 to $1.23, depending on how trustworthy I initially felt you were. I forgot to mention that if you pay me late, you’ll owe me an additional one to three cents. Plus, I’m going to smear your name to others and tell them they shouldn’t loan you anything. 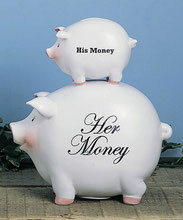 He, She or We Money? 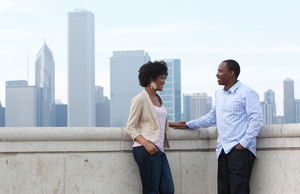 An often debated topic within marriages is whether the spouses should keep their finances separate or combine them? Before getting married, each person usually has their own source(s) of income, their own debts, bills, etc. FYI: in most cases, the man is coming in with more debt than the woman. Go figure! Once you tie the knot, do you continue to operate as “His and Hers”? Or is it time to make it “Ours”? I know people who will vehemently say that once you get married, “there is no more Yours or Mine; it all belongs to Us”. I also know folks who take the stance, “As long as she pays her bills and I pay my bills, we’re fine”. Which is the right way? Well before answering that, let me tell you what Gina and I do. Every single dollar that comes into our household, whether generated by her or generated by me, goes into a “combined pot”. 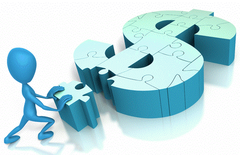 From that, we take care of all our financial obligations i.e. saving, giving, bills, expenses, etc. Sign up for our mini-course, 3 Simple Steps to Wealth, and take control of your finances today. Order the financial classic, Getting Rich is Simple...But It Ain't Easy! 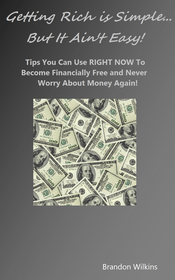 and learn tips and techniques you can begin applying immediately so that you never have to worry about money again!